When we specify the repository on the command line, the Docker daemon is doing some extra work for you. The Docker daemon (not the client tool) is configured with a list of servers to search. In our example above, the damone will search for the “rhel7” repository on each of the configured servers. Notice, that sometimes the full URL does not need specified. In this case, there is a default repository for a given namespace. If a user only specifies the fedora namespace, the latest tag from the default repository will be pulled to the local server. Below, we are going to inspect the layers of a repository on the local container host. First let’s check out what image layers are available in the Red Hat Enterprise Linux 7 repository. Notice that each layer has tag and a Universally Unique Identifier (UUID). This is because when the image builder creates a new image, a new layer is created under certain condition. First, if the image builder is building the image manually, each “commit” creates a new layer. If the image builder is building an image with a Dockerfile, each directive in the file creates a new layer. It is useful to have visibility into what has changed in a container repository between each layer. Simply put, a base image is an image that has no parent layer. Typically, a base image contains a fresh copy of an operating system. Base images normally include the tools (yum, rpm, apt-get) necessary to install packages or update the image included in them. These special base images can be created yourself, but are typically produced and published by open source projects and vendors like Red Hat. Provenance and trust of these base images is critical. 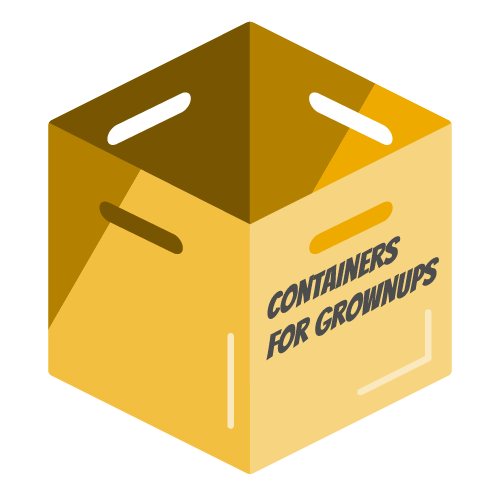 Even though a user can run a container from any of the image layers, they shouldn’t necessarily do that. 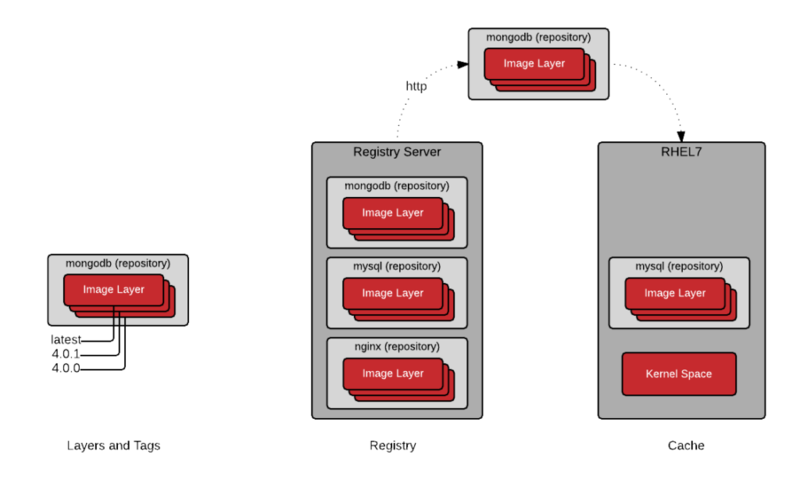 When an image builder creates a new repository, they will typically label the best image layers to use. These are called tags and typically map to versions of software contained in the repository. To pull all of the available tags to the local container host and then inspect them, run the following commands. Notice that each of the tags maps to a version of RHEL embedded in the particular layer. Understanding this, can help you pull the desired layer to, for example, meet an OS requirement. A registry server, is essentially a fancy file server that is used store Docker repositories. Typically, the registry server is specified as a normal DNS name and optionally a port number to connect to. Much of the value in the Docker ecosystem comes from the ability to push and pull repositories from registry servers. When a Docker daemon does not have a locally cached copy of a repository, it will automatically pull it from a registry server. By default, Red Hat enterprise Linux is configured to pull repositories from registry.access.redhat.com first, then it will try the docker.io (Docker Hub). It is important to stress, that there is implicit trust in the registry server. You must determine how much you trust the content provided by the registry and you may want to allow or block certain registries. In addition to security, there are other concerns such as users having access to licensed software and compliance issues. The simplicity with which Docker allows users to pull software makes it critical that you trust upstream content. Once an image (aka repository) is pulled from a registry server, to the local container host, it is said to be in the local cache. 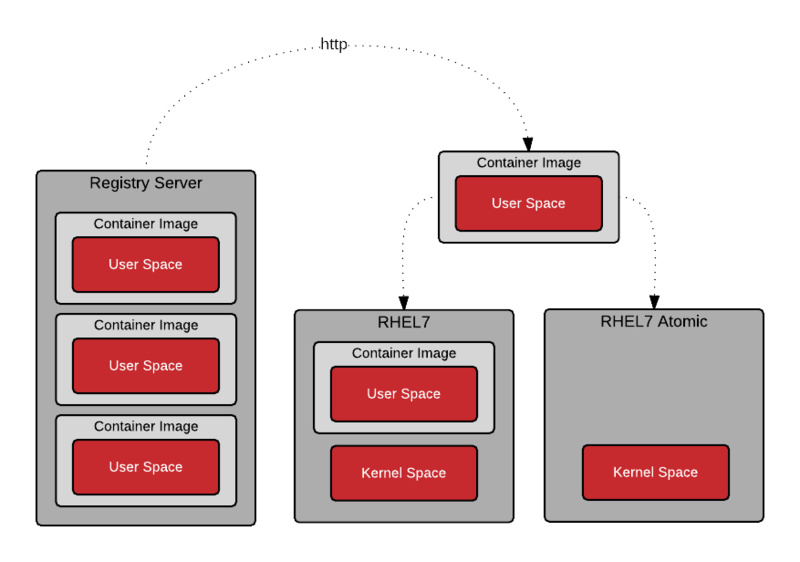 People often use the words container, image, container image and repository interchangeably and the docker sub-commands don’t make a distinction between an image and a repository. The commands are quite easy to use, but once architecture discussions start, it’s important to understand that a repository is really the central data structure. The goal of this article is to leave you with the ability to command this nomenclature so that more sophisticated architectures can be created. For example, imagine that you have just been charged with building an infrastructure that limits, based on role, which namespaces, repositories, and even which image layers and tags can be pushed and pulled from based on business rules….